Sol Bishop has been making waves as of late after releasing his recent single Right Now which received playlist placement in Spotify's "All Aussie HipHop" playlist. He's also been performing across the city and appearing on numerous features including 2AM In The Future by ELEJI. 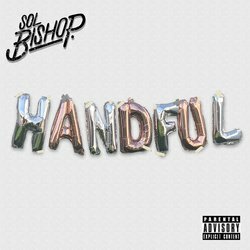 "Handful" presents Sol Bishop at his most chaotic, expressing themes of partying and not having a care in the world. This track is guaranteed to bring out the more loose and care free side in you.